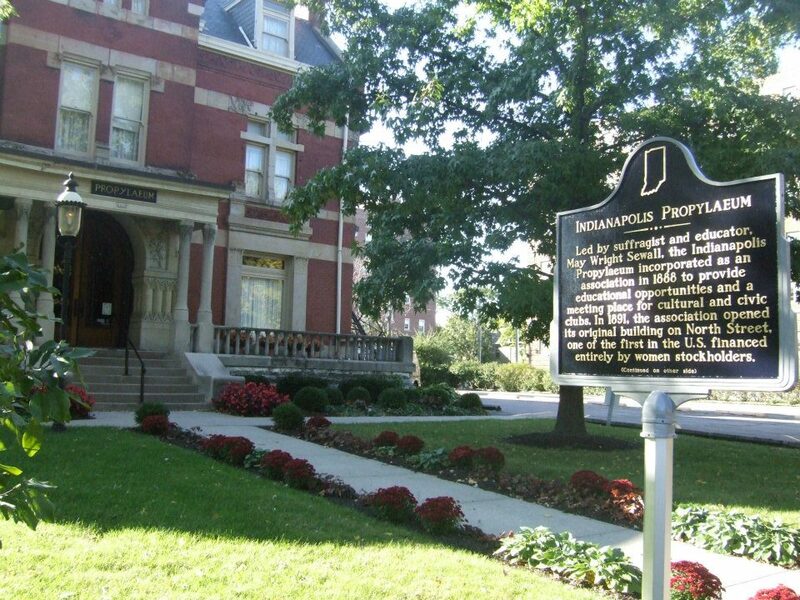 How often have you passed the beautiful building at 1410 North Delaware Street? 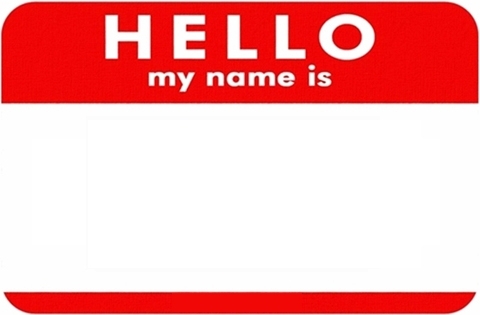 Drop the word “Propylaeum” in a conversation anywhere but Indianapolis, and you’re bound to get confused stares. But long-term locals know the place relates to women, and if they’re really into history, perhaps even the name May Wright Sewall. 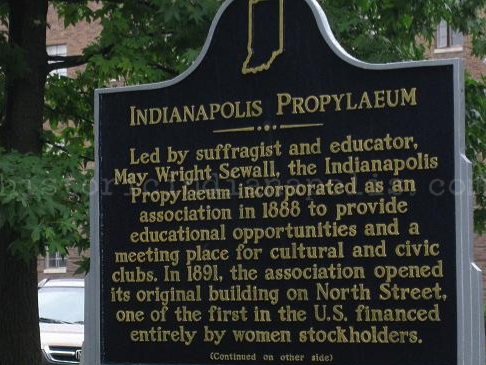 May Wright Sewall is a local “SHEro,” indefatigable in her mission to help elevate the women of Indianapolis as the city grew into a thriving Industrial Age city. She lead the Girls Classical School, helped found the Art Association–predecessor of the John Herron Art Institute and what is now the IMA–and myriad other cultural institutions and endeavors. Indianapolis of today would be different if not for the guiding yesterdays of May Wright Sewall. Learn May’s full story in “But I Do Clamor” by Ray E. Boomhower and see why she deserved to be one of the first ten people featured in a series of historic memorials on Georgia Street. 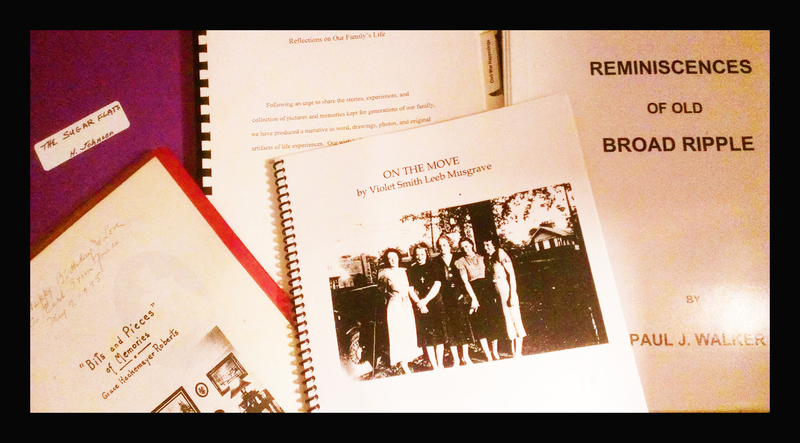 Every native Indianapolis girl should know about May and what her presence meant to Indianapolis’ early development. What happens within this beautiful property today? 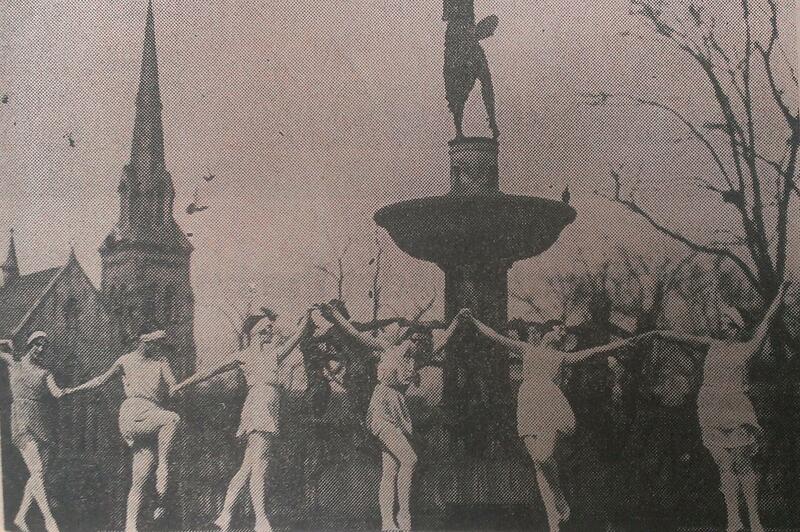 It is home to a social club for women founded in 1888 to provide a progressive forum for enriching the lives of women relating to culture, education, the arts. The Propylaeum’s first home on the south side of North Street hosted the events of numerous city clubs in addition to its own. The Propylaeum relinquished its longtime home and purchased the current one in the Old Northside when the War Memorial plans were revealed. Though continuing its life as a clubhouse for members, it also features a quaint cafe open to non-club members Monday-Friday 11am-2pm. As a side note, before tea became the beverage of choice on the premises, it was likely beer. Why beer? 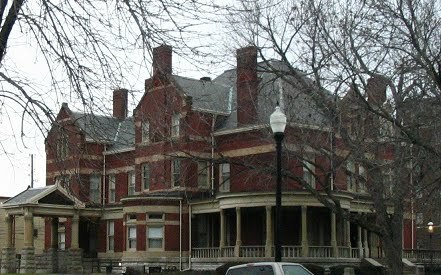 The property started life as the home of beer brewer, John Schmidt– one time President of the Indianapolis Brewing Company. Schmidt passed his stein and house keys onto fellow brewer, Joseph C. Schaf in the early 1900’s and the Schaf family in turn, sold it in the early 1920’s to the Propylaeum.